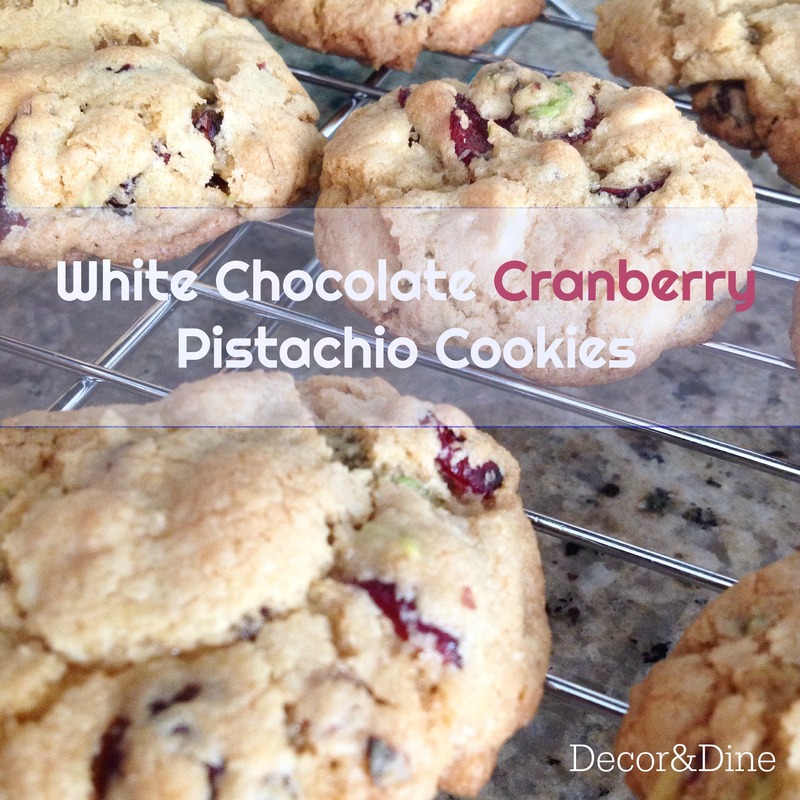 White chocolate, cranberries and pistachios…can it get any better? These cookies are amazing! They are delicious any time of the year but I love how the cranberry and pistachio give these cookies the perfect colour combination for this time of the year. These cookies are also perfect to add to your cookie exchange list. Cream butter and sugars until fluffy using an electric mixer, 3-5 minutes. Mixture will become pale in colour. Using a wooden spoon, slowly stir the flour mixture into the butter mixture, just until combined. 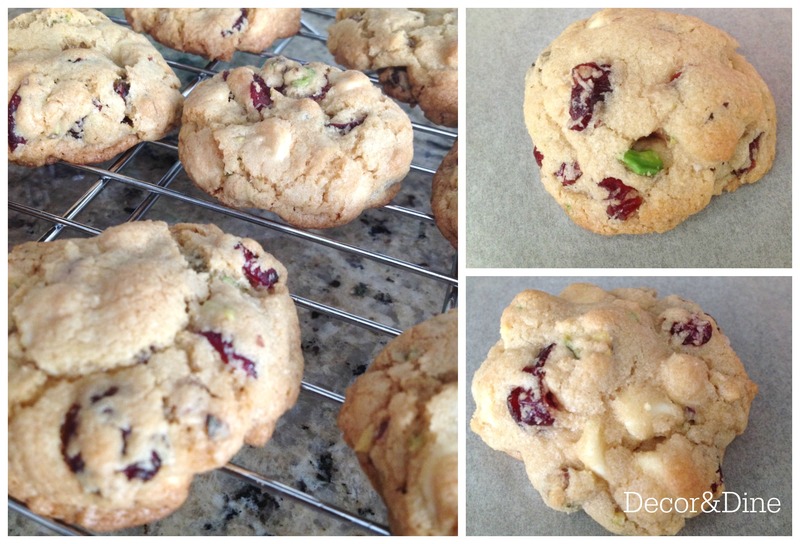 Stir in the white chocolate chips, dried cranberries and pistachio nuts. On a greased or parchment paper lined cookie sheet, drop heaping spoonfuls of the batter. Bake cookies for 8-10 minutes or until they begin to turn golden around the edges. Cool cookies for 2 minutes on the cookie sheet before transferring them to a wire rack to cool completely. Thanks Sandra! Have a great week! Any cookie with pistachios automatically gets my vote!